APCOM is backing community groups and organisations in Malaysia and elsewhere in their strong concern about recent guidelines released by the Malaysian Ministry of Education aimed at identifying young people who may be gay and lesbian. Last week, an announcement from Kuala Lumpur described the Malaysian government holding seminars aiming to help teachers and parents spot “signs of homosexuality” in children, during which a checklist published by the Yayasan Guru Malaysia Bhd and the Putrajaya Consultative Council of Parents and Teachers Associations was handed out pointing to several so-called symptoms for identifying young people as being either gay or lesbian. PT Foundation is one example of an organisation available to support young people in Malaysia through HIV testing and counselling and mental health counselling through one-on-one session or telephone. Their services can be accessed from Monday through Friday from 7:30pm – 9:30pm, at (03) 4044-5455 or (03) 4044-5466. 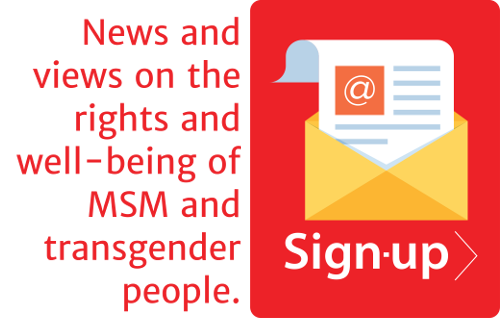 APCOM will continue to support these community networks and organisations in their efforts, and will continue to advocate for the social and human rights for the gay and transgender communities in Malaysia and across Asia and the Pacific region.